Show your appreciation with these personalized gifts. Your friends and family spend a lot of time (and money) helping you plan your perfect day. 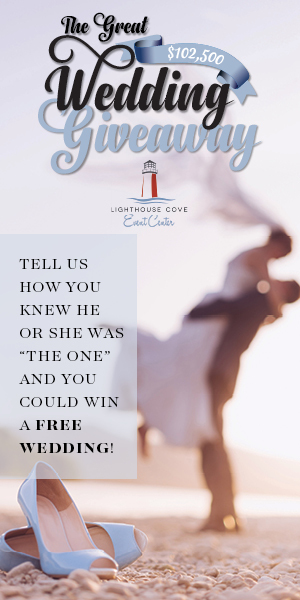 It is only fitting that you show your appreciation with a thoughtful gift. 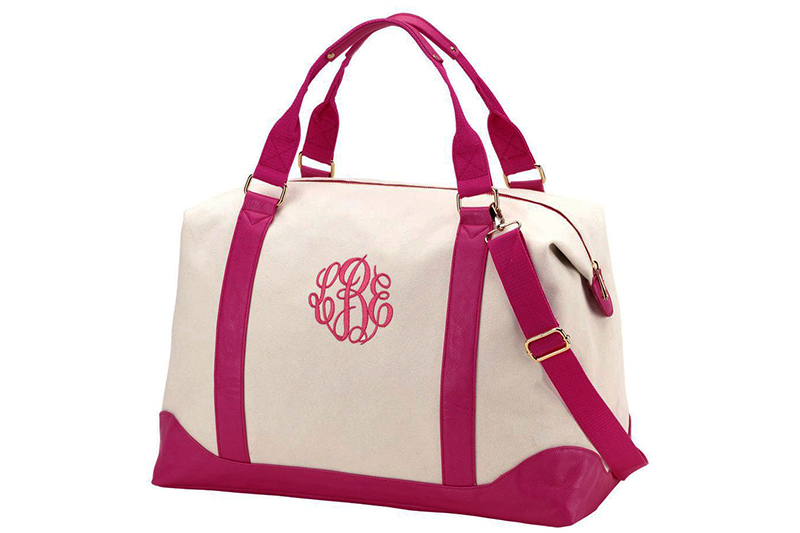 Adding a monogram is a great way to personalize an item. It can take a ho-hum gift to the next level without a drastic difference in the price. Need some inspiration? Check out the items below. This is the perfect gift for a girls’ getaway or before your bachelorette party. The Pink Turtle’s Sullivan bag comes in hot pink or mint green with your choice of over 15 different thread colors and 10 different font options. 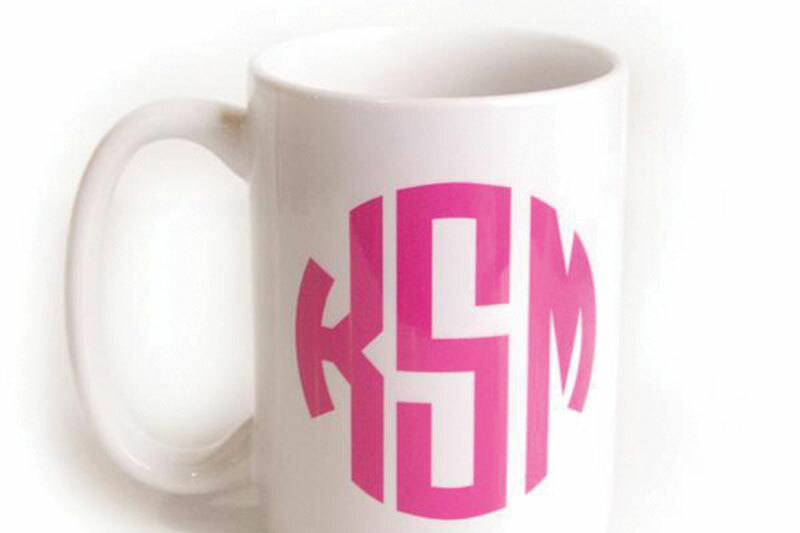 If your maids are all a bit different from one another, start with something like a monogrammed coffee mug, then pair it with something fitting for each of their personalities, like a S’well bottle, a Voluspa candle or a classic pair of Fornash hoops. 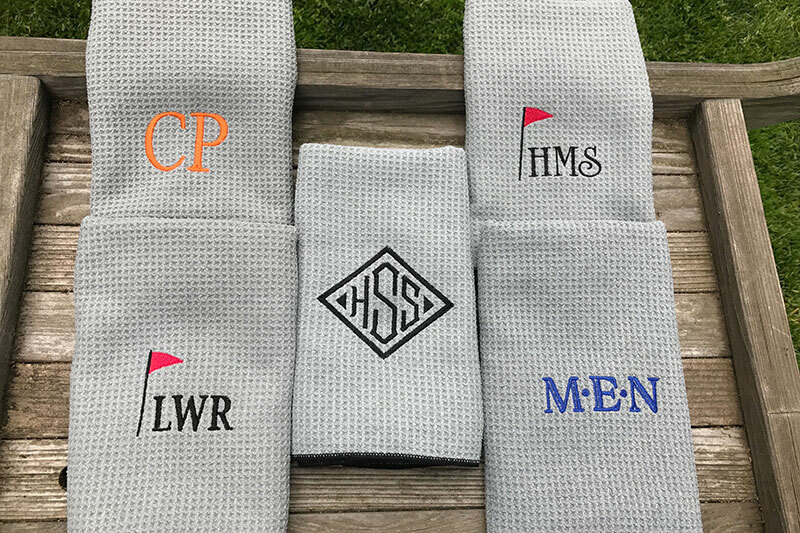 Classic Monogram & Gifts Co. embroider center-cut microfiber golf towels in Berwyn, Pa. They come in a variety of colors: gray with a black edge; royal blue; black; white; white with a black edge; white with an orange edge; and dark green with a black edge. They are $25 each, including the monogram. Turnaround time is perfect for the procrastinator, as they only take between seven and 10 days. 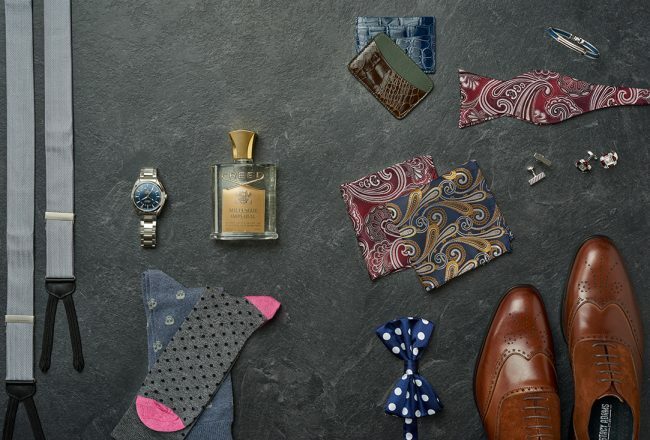 Give your groomsmen something they will really love—and use—a customizable shaving kit. 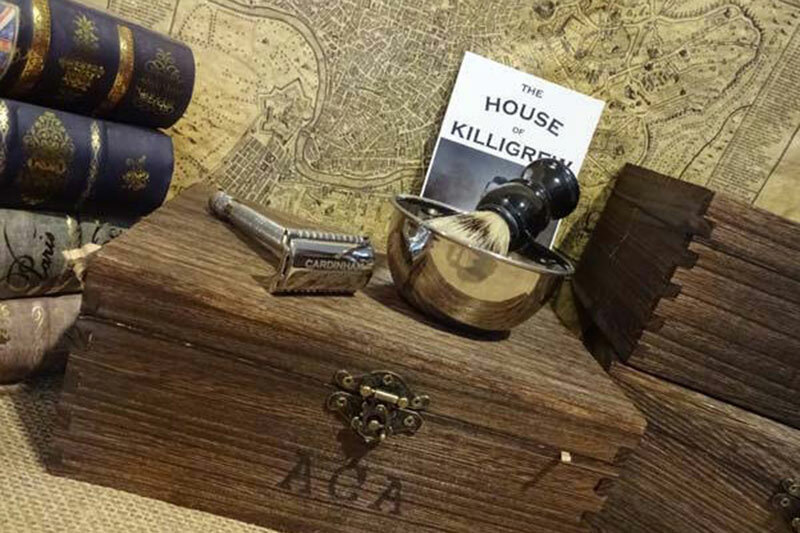 It comes in a wooden box that includes your choice of fabric, scent and monogram and is filled with a razor, brush, bowl, two starter blades, balm and soap. Owner Steven Funk, a polo player from Downingtown, Pa., has created seven different scents to choose from, like the Hunt (clean and woodsy) or Steeplechase (mysterious and rustic). Each monogrammed letter is burned by hand onto the boxes. 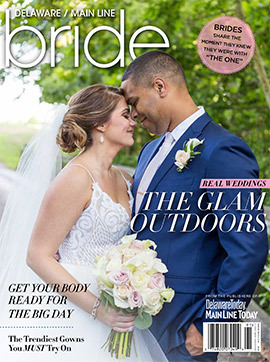 Funk recommends placing your order at least two to four months in advance: “Just this year we have probably done over 100 weddings around the globe, from Dubai, to Hong Kong, to Australia, England and all over the U.S.,” says Funk. 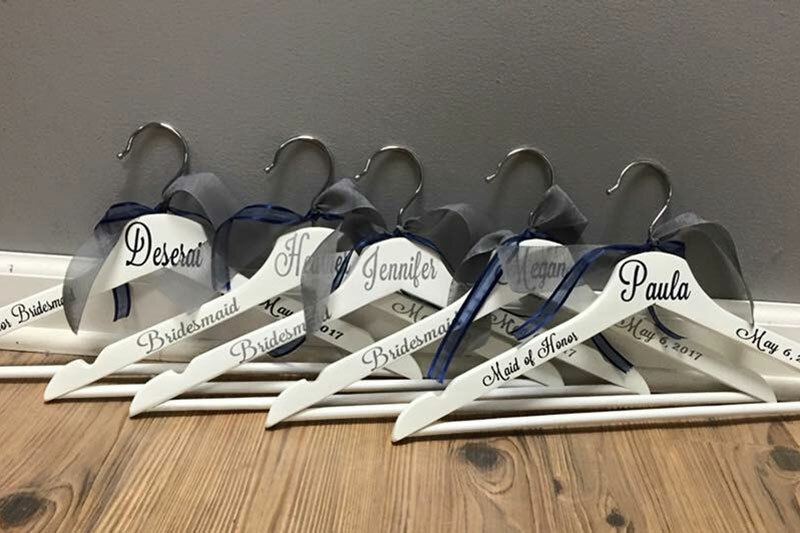 Get custom bridal party hangers from Bree Williams of 1174 Designs, complete with your bridesmaids’ names and your wedding date. A set of five is only $40 and they only take a few days to make. Tori James of Philadelphia makes adorable, initialed clutches that allow you to choose a color of fabric for the inside and outside. 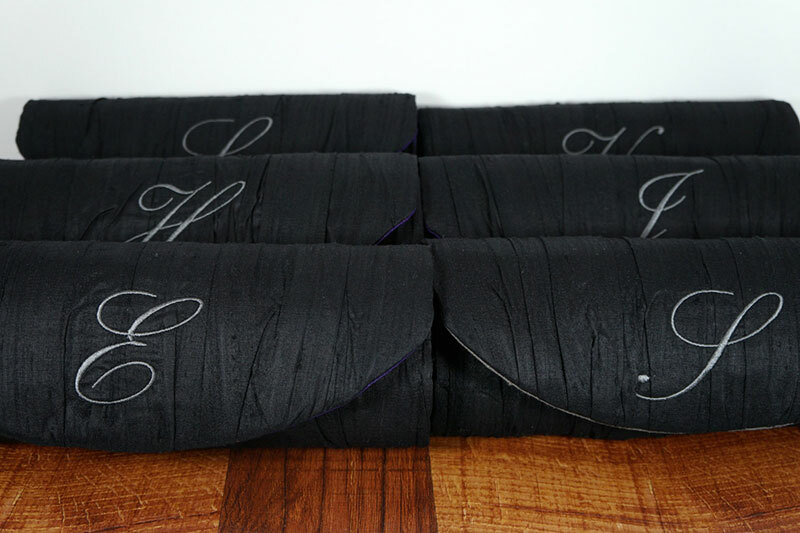 The bags are made of gathered silk and can be monogrammed with an initial in three different font options. Each bag is $44, but the price goes down the more you order. They are made to order and typically require five to seven business days to complete, with larger orders requiring two to three weeks. Your bridesmaids will love a piece of jewelry by John Wind. His initial bracelets and necklaces are delicate and affordable and come in gold and silver. 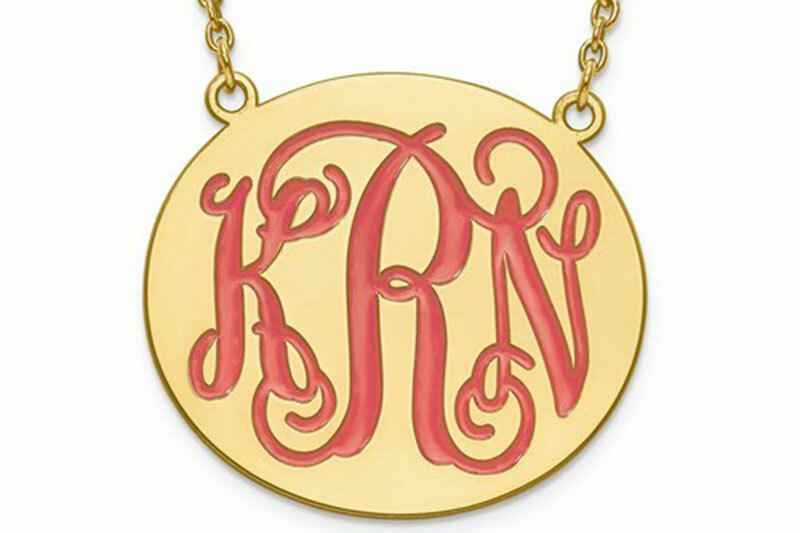 Monogrammed necklaces have been popular for years, and girls of all ages are still coveting them. 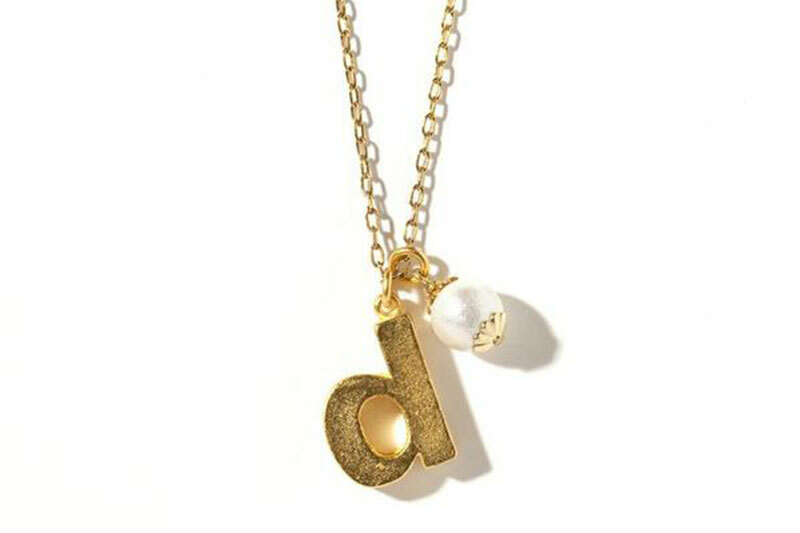 Indulgence Jewelers sells a variety of options—a necklace with enameled initials; a triple letter monogrammed necklace and a single initial pendant. All options come in either sterling silver or gold-plated and start at $98. According to owner Michael Goldberg, they only take about a week to make, too. 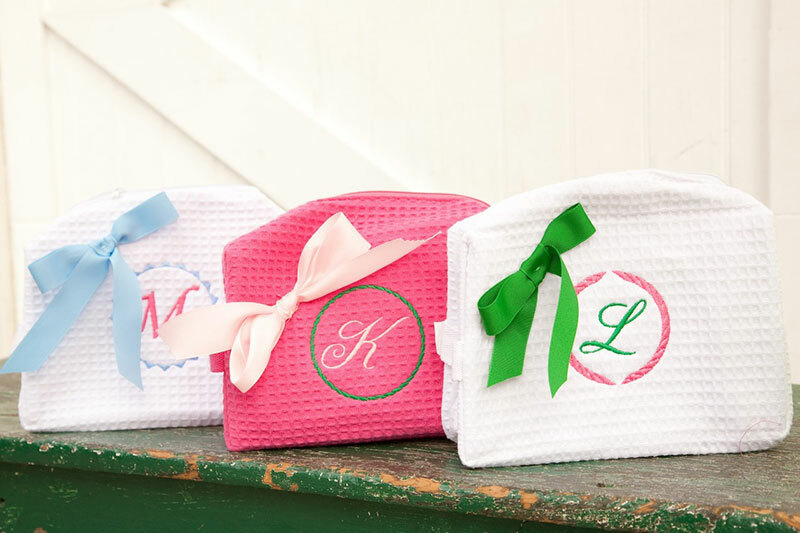 A cosmetic bag for your maids may seem practical, but adding a monogram gives it a distinctive feel. This waffle-weave bag is lined and can be monogrammed with up to three initials or even your favorite saying (maybe your wedding day hashtag?) Choose from six different colors and 12 different thread colors. Be sure and fill each bag with a fun and flirty beauty product. Treat your groomsmen to a custom dress shirt. They can wear it the day of the wedding, but it’s something they will have forever that will fit them impeccably. 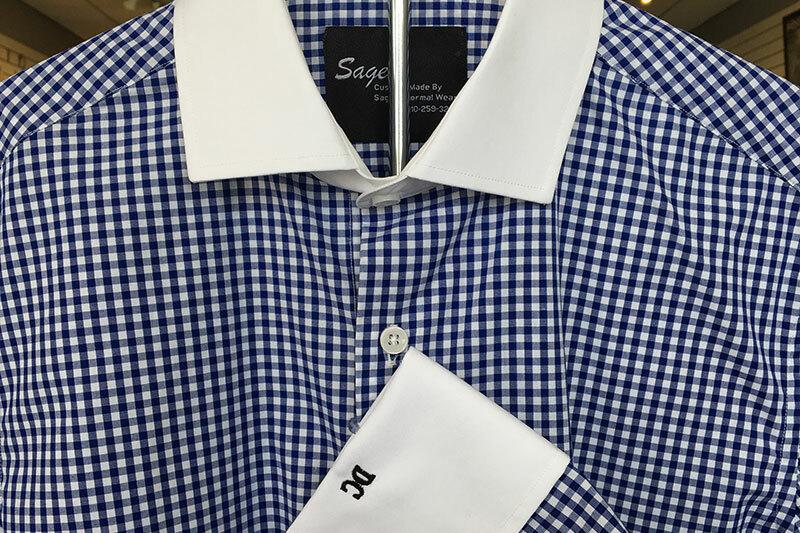 Sagets Formal Wear offers over 200 fabrics to choose from and most custom shirts run $140. For an additional $10, add their initials at the cuff. From start to finish, the shirts are ready in just three weeks. While it’s not monogrammed, this monthly beauty product delivery service is all about personalization. 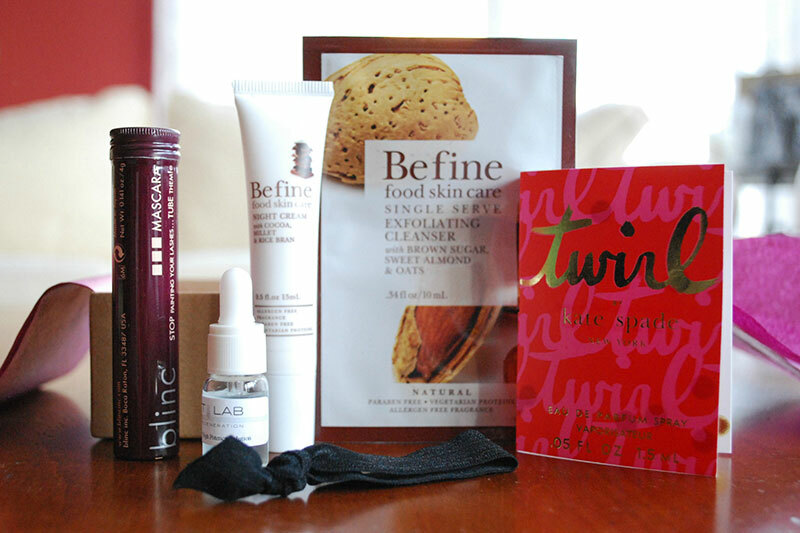 Each box includes five beauty samples from high-end brands. You choose how many months the boxes will arrive, and beyond the first box, the recipients will be able to modify the rest of the subscription to suit their wishes. A three-month subscription for women starts at $30; there’s even a BirchboxMan that starts at $60 for three months.